Ballymore introduces the only true all directional ladder. 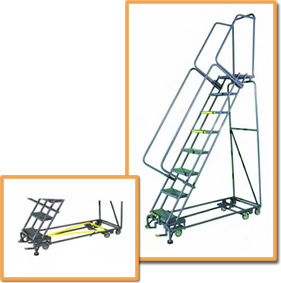 When raised into the rolling position the ladder rolls on 4 swivel casters allowing it to be moved in all directions even diagonally providing exceptional maneuverability . Available with standard or weight activated lock steps.